Xiaomi Mi Max 3 Is Official With 6.9" 18:9 Display, Snapdragon 636, 5500mAh Battery & More - AndroGuider | One Stop For The Techy You! Xiaomi's Mi Max lineup is known for having large screens with big battery capacities. Last year's Mi Max 2 was a 6.44" device with an aspect ratio of 16:9 and a battery capacity of 5300mAh. Throughout this year, we have seen OEMs launch phones with thin bezels and large screen sizes. Given the trend of bezel-less phones and that the Mi Max 2 was a big device, we were curious to see how large the Mi Max 3 would be. 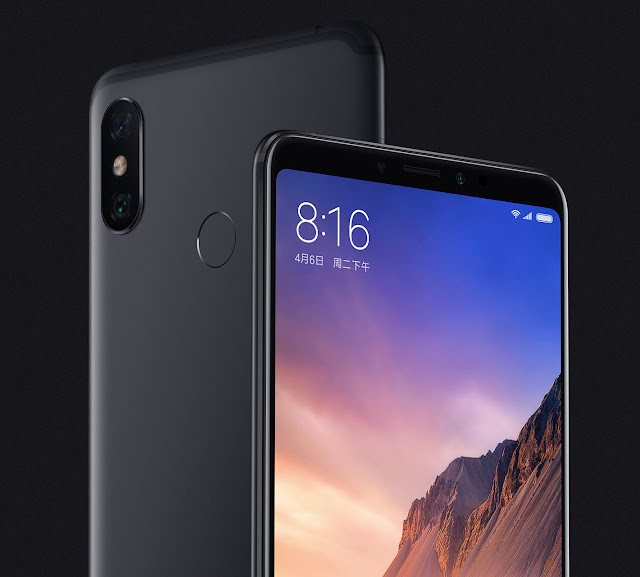 The Mi Max 3 was made official just a few hours back. Let's take a look at it starting with the build and design. On the front, there is a 6.9" 18:9 IPS LCD display with Full HD+ resolution. The earpiece and selfie camera are present in their usual places above the display. 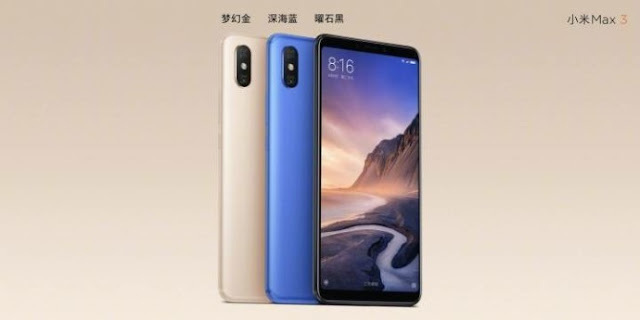 Since the bottom bezel is thin, Xiaomi has done away with capacitive buttons which were present in the last generation and it is instead using software navigation keys. At the back, we have a 12MP+5MP camera setup with LED flash. The cameras are aligned vertically as in the iPhone X, the Redmi Note 5 Pro and the Mi 8. The fingerprint scanner is placed in the centre just beneath the cameras. I have held a Mi Max 2 and the fingerprint scanner on it was barely reachable. Since the Mi Max 3 is slightly taller than its predecessor, the fingerprint sensor on it may be even tougher to reach. Leaving out the Mi logo, the rest of the back is clean. Like the back, the chassis is also aluminium. There is a headphone jack, secondary microphone and IR blaster on the top. The bottom of the phone houses the dual amp stereo speakers, USB-C port and the primary microphone. The right edge of the phone has the volume and the power keys, while the opposite edge holds the SIM tray. 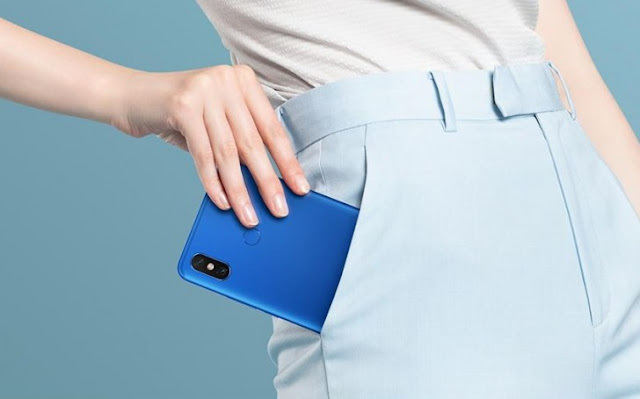 The Mi Max 3 supports two SIMs (Dual VoLTE is supported) or one SIM and a microSD card. The Mi Max 3 is powered by the Snapdragon 636 which was first seen in the Redmi Note 5 Pro. There are two RAM and storage models: 4GB/64GB and 6GB/128GB. The storage space can be expanded using a microSD card of up to 256GB. The 5500mAh battery powering the Mi Max 3 supports QuickCharge 3.0. Xiaomi says that the battery can be charged to 71% in an hour. An 18W (9A/2V) charger is included in the box. There are two cameras on the back. The primary shooter is a Sony IMX363 sensor with an aperture of f/1.9 and pixel size of 1.4µm. The secondary camera is a 5MP sensor which is used for applying the bokeh in portrait shots. At the front, we have an 8MP camera with f/2.0 aperture and 1.12µm pixel size. There is a selfie light to help with the shots in the dark. 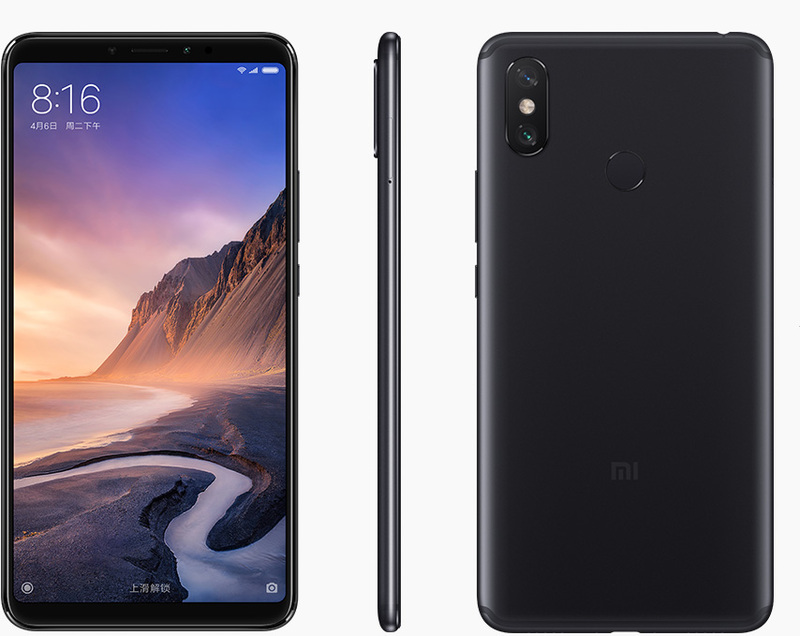 Xiaomi claims to be making use of AI to improve the shots taken with both the front and the rear camera, and AI is also used to assist with face unlock. The Mi Max 3 will be available in Dark Blue, Dream Gold and Meteorite Black. The 4/64GB base variant is priced at CNY 1699 (~Rs. 17322/$252) and the higher model will be sold for CNY 1999 (~Rs. 20377/$297). The phone is currently only available in China, though a global launch is expected. The phone will hit the shelves tomorrow in China.